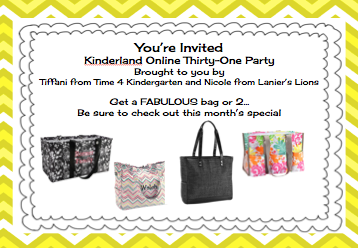 Nicole from Lanier's Lions and I are having a Thirty-One Party and You're invited. Party Ends March 31. Click picture to see the great bags. These make great baby shower, birthday, and Mother's day gifts. The thermal totes are perfect for the end of the year Teacher gifts too. You can even have them embroidered with an initial, name or sports logo. 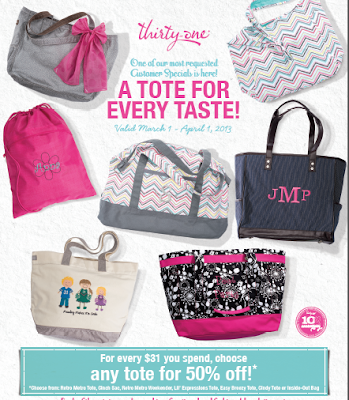 With this month's special you can buy a gift and aget another bag for yourself. The Cindy tote is the perfect workbag- it holds my laptop and much more.